Non-food items and fuel were the main drivers for the rebound in April retail sales. 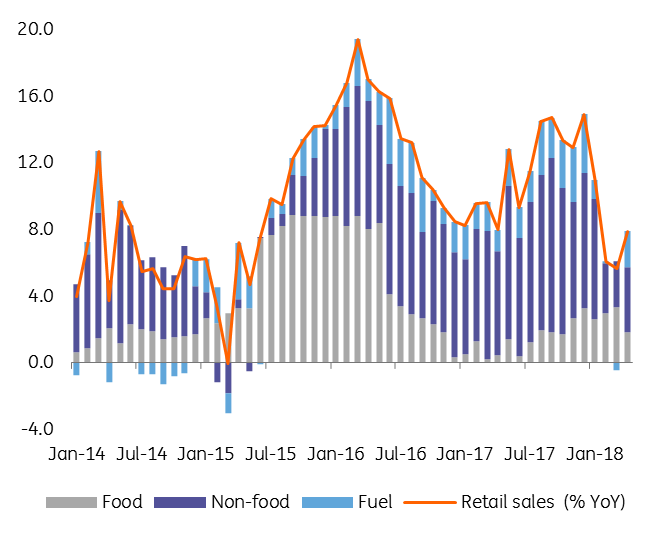 Non-food retail sales accelerated from 5.4% to 9.3% year on year but were likely driven by Easter gifts, while people used more fuel to drive around the country during the Easter holidays, leading to a sharp rise in fuel sales from -3.6% to 11.8% YoY. 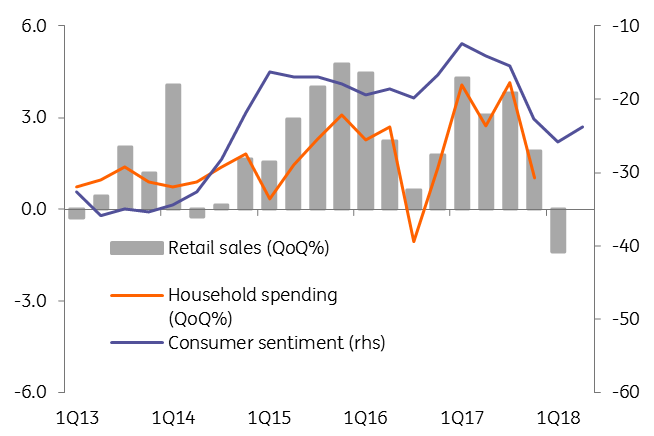 Consumer sentiment softened again in May after two months of improvement, but given the very weak January and February, we expect a sequential increase in consumption in the second quarter. Due to a deterioration in confidence and large base effect, we look for an annual deceleration in retail sales in May. Still, consumers seem to be the exception, with soft data improving across the board in May. Hence, we look for a sequential expansion in the second quarter after the economy stalled in the first three months of the year.